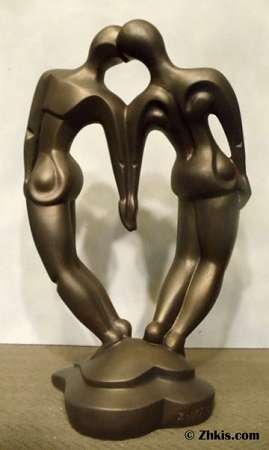 This Abstract Lovers Statue stands on a heart base. As they face each other they form a heart shape at their lips. A unique and romantic statue. Great wedding gift or a anniversary gift.